Civil engineering is problem-solving. 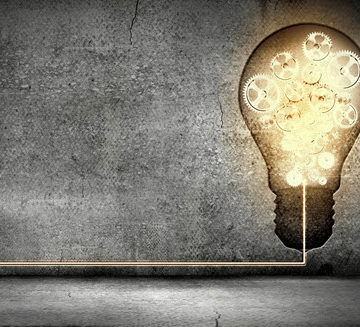 Innovation is creative problem-solving. Simple as that, right? Not so much. But to hear Frank Moon talk about innovation, one certainly gets the feeling that solving massive civil engineering problems is possible, if not easy. It’s all in defining the problem at the beginning. “My experience is that if you start with the problem it keeps your eye on the ball a little more,” said Moon, Ph.D., A,M.ASCE. Moon is among a panel of industry leaders who will judge entries to ASCE’s second annual Innovation Contest, accepting submissions through March 1. 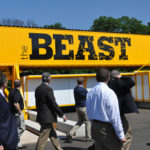 The professor in Rutgers University’s Department of Civil and Environmental Engineering serves as technical director of Rutgers’ renowned BEAST Laboratory. Moon talked with ASCE News about innovation, the power of collaboration, and what he thinks might help civil engineers preparing submissions for the 2017 ASCE Innovation Contest. ASCE News: Was innovation always part of what attracted you to civil engineering in your career? Moon: I was always attracted to civil engineering by a couple of things. One was trying to solve big problems. At least in civil engineering, we have lots of big problems – infrastructure, water, and all sorts of things. And the other drive was being able to do something new and make a contribution. I’ve always liked the idea that individuals can make creative contributions to a profession, where it matters that a certain individual did something, that if I did it rather than somebody else maybe it would be different. And I think that’s what drove me into research. Civil engineering, as arguably the oldest engineering discipline that is still practiced, is quite mature. There are a lot of really good things – rules and approaches and methods – that this profession has that work really well. But when something is mature, it’s very difficult to improve upon the things that have been done using the same perspective. 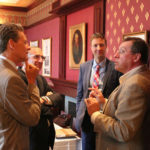 What has become clear to me is that innovation is going to come through integrating other fields. 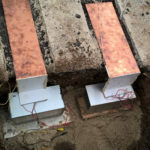 In my area, the THMPER system [live-load testing device for bridges, developed by Moon’s team at Drexel University] came from a lot of work on testing approaches that were originally developed by mechanical engineers, and obviously the sensing devices were electrical engineering products. In addition, the efficiency of this system depends a great deal on the use of information technologies. There are so many creative ways to use information technology. For example, I think Carnegie Mellon has paired their civil engineering program with the public policy program. I think that’s great. The future of innovation is going to focus quite a bit on bringing the products and perspectives from other disciplines to our problems. To me, that’s really exciting. I like working with people who have very little in common with me. Their backgrounds are different and the way they see problems is very different from the way I see them, so I always learn something through those interactions. In the past I think a lot of civil faculty would collaborate only with other civil faculty, now I see a lot more cross-discipline collaborations, and I think that’s where the really interesting things happen. ASCE News: So if you’re a student or really, an engineer of any age, how do you develop those connections? Is it just a matter of being open to new connections? How do you make that happen? Moon: If you’re going to work in this space, you’ve got to bring something to the table. For civil engineers, a lot of what we would bring to the table would be a deep understanding of our domain. So I would generally classify those people as domain experts. They understand the problems, with all their inherent complexity, constraints, history, really well. Then there’s another person, whom I generally refer to as a tools person. This person has an outstanding skill set, such as signal processing or robotics or risk assessment, and it is transferable. They can one day collaborate on an aerospace project and the next day collaborate on a civil engineering project, and so forth and so on. So, where I think really interesting things happen is when you get these two types of individuals together. Now, one of the things that doesn’t necessarily get me excited is when people tend to start with the solution and then go hunting for the problem. To me, innovation is all about starting with a real problem in all its messiness and working that problem through the process. We have so many more tools and perspectives than we’ve ever had that innovation will happen. On the other hand, if your primary interest is to be innovative, as opposed to developing a solution to an important problem, sometimes you come up with new things that at the end of the day don’t really make a big difference. I would much rather set out to solve a real problem. In my experience, that’s where real innovation comes from. 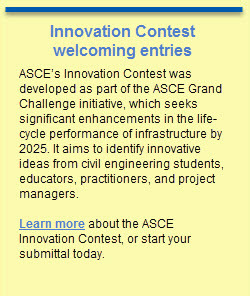 ASCE News: As an Innovation Contest judge, how would you suggest entrants approach their submittal? Moon: I think what we’re looking for is somebody focusing on a real problem – it can be a water problem, an energy problem, a business problem. One of the best things about the Innovation Contest is that it’s very diverse. There will be technology, but there’s also a huge focus on green engineering and innovative business models and all sorts of things. I suggest that anyone who’s interested in putting in a submittal to the competition start with a real problem. I wouldn’t start with, “Oh, I want to use UAVs.” I would start with a big civil engineering problem. We have lots of them. We have aging, crumbling infrastructure, for example. We have resilience issues with our coastal cities. We have energy efficiency issues with our buildings. There are certain global water-quality issues that are really profound. 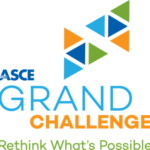 So if you start with some of those big, Grand Challenge problems, then take a look at the tools and technologies and methods that are out there to see if these can be used to transform the way the problem is currently addressed. I think this might put you in a much better position to realize a true innovation.